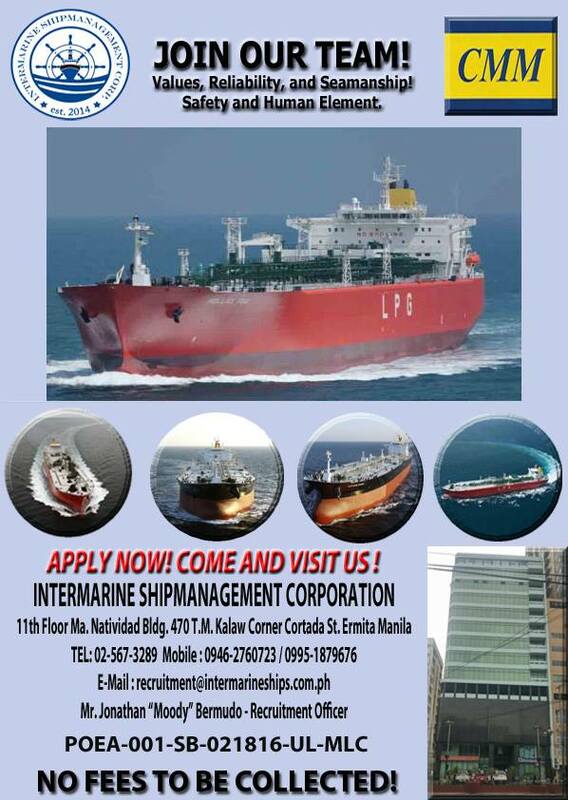 SEAMAN JOBS INFO - Intermarine Shipmanagement Corporation Updated Crew Requirements as of SEPT.18, 2018 for LPG tanker ship rank chief engineer, chief officer, cook. We Need the Following Ranks Below Only! NOTE: OTHER POSITIONS NOT POSTED NO OPENING! 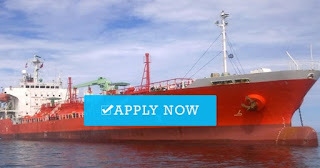 CHIEF ENGINEERR.-VLGC / FULLY REF LPG 47,000 GRT. EXP. W/ ME-Engine is an Advantage! URGENT! CHIEF OFFICER-VLGC/LPG FULLY REF 47,000 GRT. EXP. ASAP! ASST.COOK/ SECOND COOK- TANKER EXP. ONLY OVERSEAS! URGENT! 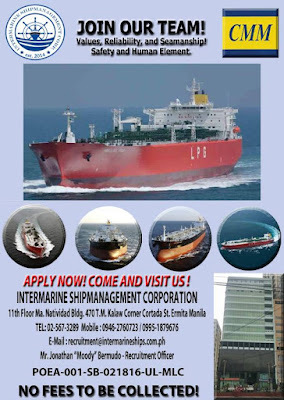 Share with other seaman looking jobs at sea. 0 Response to "Recruit C/E, C/O, Cook, 2nd Cook For Tanker Ship"